In the recent times of remarkable technological developments like cloud computing, the internet has gained a special place in our day-to-day routine. Starting from ordering food to sharing large official video presentations abroad, a high-speed broadband connection is a perfect solution to perform a plethora of tasks easily and efficiently. In a similar way, Wi-Fi radio signals are an exceptional medium for determining the geographical location of a device. Each one of us understands the importance of the Global Positioning System (GPS) while driving to an unknown destination. We all are aware that the GPS itself works on tracking your current location with the help of satellite broadcast microwave signals. At present, there are more than two dozens of GPS satellites in the space but it is mandatory for your mobile phone to come in contact of four of them to get an astounding accuracy of your device location. Since GPS uses the microwave signals sent by the satellites that circles around the earth, it does not require an internet connection to work perfectly. However, there are instances when climatic disturbances like the cloudy sky at a place make it difficult to track your location. Also, your smartphone may sometimes struggle to pick up your current geographical location precisely when you are inside your home. This is where the need of a high-speed internet steps in. It is not uncommon for your smartphone to witness some difficulty to track your geographical location precisely if you are surrounded by walls and ceiling. Turning on your Wi-Fi at this moment can solve this issue efficiently. As soon as you turn on your wireless router your smartphone determine the four access points. It is interesting to note that your device does not need to be connected to the internet at this step. Your smartphone quickly takes a snapshot of various access points in its vicinity without connecting with to any of them. Thus, a phone needs to interact with the Wi-Fi hotspot in its range and the accuracy of location of a device is enhanced because the location of Wi-Fi’s access points can be obtained from a centralized database. Google established a massive database of millions of access points by driving the Google street view cars to collect data for the Street View feature incorporated in the Google Maps application. During the process of capturing images of streets and bylanes, they were able to record the geographical location of billions of Wi-Fi access points detected by them during their journeys. 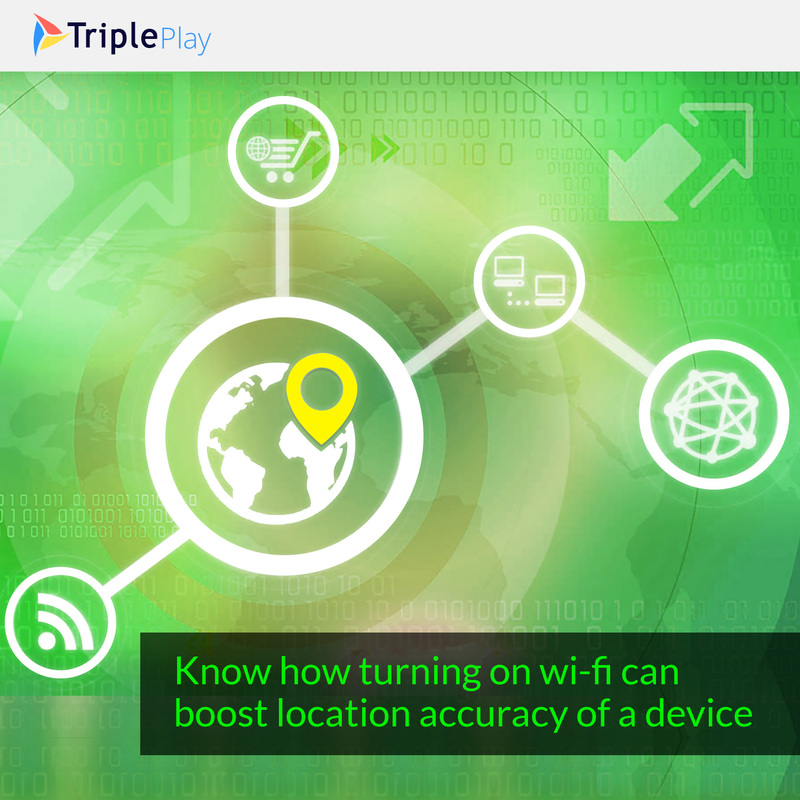 In this manner, Google determines your current location by identifying the access point when you are connected to a Wi-Fi router. At places where Google still can’t determine your current location, it can then register the nearby access point in their database and show your demographical location next time you try to locate your device on Google maps. If you are a frequent traveler and love to explore new destinations, we’re sure; the GPS technology is your best friend. However, occasional flaws in determining your geographical location can be troublesome for you. At the same time, connecting to a high-speed internet can turn out to be a helping hand to you in such difficult scenarios. TriplePlay broadband is one of the trusted brand names in the league of service providers that are committed to delivering the high-speed connectivity to their clients at a suitable budget.